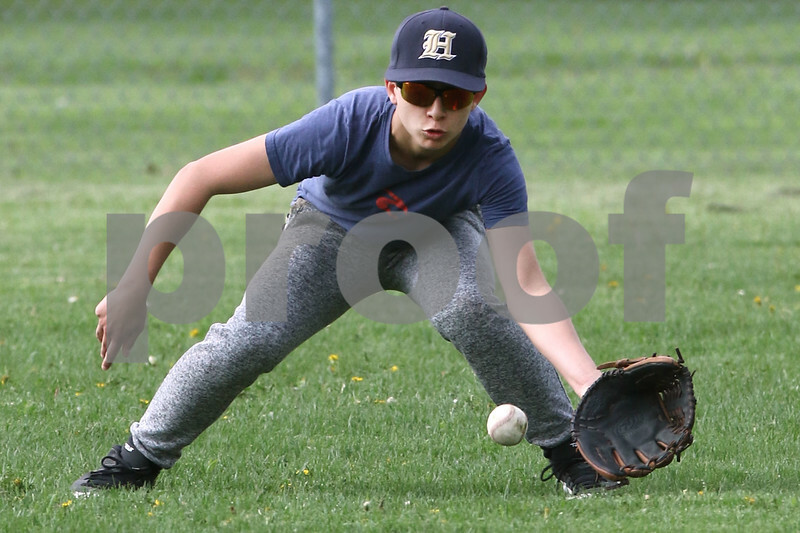 Hiawatha High School baseball player Diego Garcia fields grounder in the outfield during practice Thursday at the school in Kirkland. Garcia is one of trio of foreign exchange students including Xavi Rios, and Antonio Oliveira, attending the school and playing on the baseball team. Oliveira, is currently out of action with an injury.